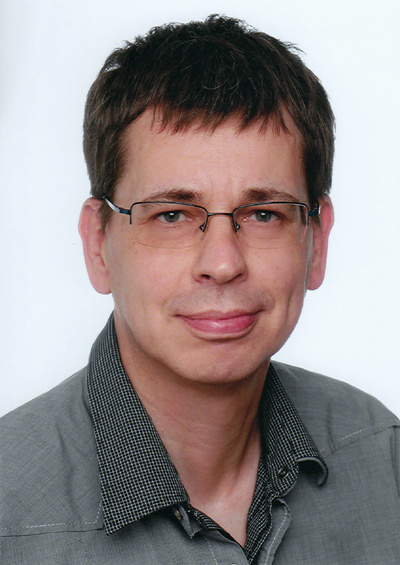 Born (on March 5, 1958) and raised in Hamburg, I studied Computer Science and Linguistics at the University of Hamburg. After having been awarded a diploma degree in Computer Science in 1986, I got a job as a Research Assistant that I held for four years. The topics of my research did include Natural Language Processing, Knowledge Representation, Inference Engines, and Artificial Life. One of my last publications during that time was a talk given at COLING 1990 (“On Trying to Do Things with Words”, with Heinz Genzmann). During that time I co-authored „Das LISP-Buch“ (with Peter Schefe and Andreas Fittschen), a textbook on my favourite programming language, LISP, published by McGraw-Hill in 1988. It has been out of print for many years and is quite obsolete now, especially as it concentrated on an obscure and long since forgotten dialect of LISP. Yet, “Das LISP-Buch” captured many insights into functional programming in general and reflected all I had learned about its didactics, which is why I am still quite fond of it. Moreover, it was my first book. After a brief stint as freelance software developer and author (for macmagazin, among others), MACup Verlag hired me in 1994 to join its new digital media division. My responsibilities included CD-ROM production – we did a couple of tutorial CD-ROMs on Photoshop, FileMaker, Excel etc. – and managing MACup Verlag’s forum on CompuServe. After occasional contributions to MACup, Screen Multimedia, and macmagazin, all print magazines published by MACup Verlag, I joined the editorial staff of macmagazin in 1999. Two years later I switched editorial duties and joined ComputerFoto, Germany’s first magazine on digital photography. In fact my connection with ComputerFoto went back to 1996 when I had developed the interface and content management system for its accompanying CD-ROM. Together with fellow editor Andreas Jordan I created a testing methodology for digital cameras based on reproducible data when at the time, reviews of digital cameras often relied on purely visual and necessarily subjective judgements. In 2002 ComputerFoto, along with most of what was left of MACup Verlag, moved to Poing near Munich, and so did I — at first. After a four months spell in Munich, I quit my editorial job to go back to Hamburg, working freelance but with ComputerFoto as my main client. Andreas Jordan and me established digicam-experts.de as a testing laboratory and a source for articles on digital camera technology and related topics. Andreas has since moved on to join the editorial staff of fotoMAGAZIN and I am now sharing the office space with Christopher Jakob, a journalist offering similar services. Since ComputerFoto’s demise in 2005 my clients have included fotoMAGAZIN, Leica Fotografie International, VICTOR by Hasselblad, PAGE, MACup, DOCMA, Mac&i, and S-Magazine. Some of my articles are available online, for example “The Evolution of Lenses”, “The Bigger the Better” und “Master of Light and Shadow” (originally published in VICTOR by Hasselblad). 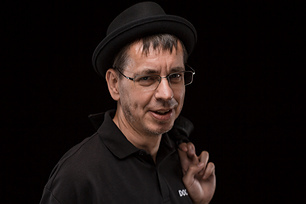 Even though they bear the same name, I am neither Dr. Michael Hußmann, a computer scientist and senior software developer, nor Michael Hußmann, team leader IT system management. Michael Hussmann is a guitar player and teacher while Michael Hussmann is a sculptor; again, neither of these two is me. If you came here looking for one of these guys, you’d better follow the links.